Those who sit more than four hours a day have a 48% increased risk of potentially lethal blood clots, known as deep vein thrombosis (DVT). A human study found that those taking a dual plant extract experienced zero cases of deep vein thrombosis. This and other data underscore a remarkable opportunity to protect against a leading cause of disability and death in adults, which is an abnormal clot that forms inside a blood vessel. A deep vein thrombosis can occur quickly, often at first with no warning symptoms. But when this clot breaks apart, symptoms occur with a deadly vengeance. Large pieces of the clot travel silently through the circulatory system and eventually block blood flow into the lungs. This sudden event produces a pulmonary embolism, a blockage that can severely reduce, and even entirely stop, critical blood flow to the lungs—an event that is commonly fatal within minutes.About 30% of those with a venous thromboembolism will die within one month, and about 25% of those fatalities will occur as sudden death. And about 33% of survivors have a recurrence within 10 years.11 Venous thromboembolisms are estimated to kill up to 100,000 Americans annually.11Lifestyle changes can reduce the risk, such as quitting smoking, regularly exercising, and eating a healthy diet, but these are often insufficient to prevent a deadly catastrophe. Anticlotting drugs involve a risk of undesired bleeding, 13,14 and compression stockings have shown limited effectiveness.15,16 The reason that these approaches provide limited protection is that with physical pooling of blood, natural clot-breakdown systems slowly lose pace with the body’s clot-forming systems.17,18Clearly, a new defensive strategy is needed.A natural, dual plant extract formula has been studied based on its ability to simultaneously inhibit venous clot formation and promote venous wall elasticity. 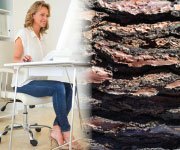 French maritime pine bark, a natural extract rich in polyphenols. Promoting elasticity of vessel walls. Inducing breakdown of fibrin clots. Now let’s look at a more detailed evaluation of these ingredients. Spending long periods sitting can lead to deep vein thrombosis, which can suddenly, and without warning, trigger a pulmonary embolism. The medical establishment provides no safe or practical solutions to prevent this deadly risk. A formula has been developed from two natural extracts to help prevent deep vein thrombosis by inhibiting unhealthy clotting, promoting microcirculation, and enhancing vessel-wall elasticity. A placebo-controlled study on humans has shown that this dual-extract blend safely prevented deep vein thrombosis in all test volunteers, while also decreasing leg swelling. The same scientific team conducted a similar study to evaluate ankle swelling during long-haul air flights.24Aside from being uncomfortable, ankle swelling is an excellent indicator of poor blood return up the veins of the legs, making it a great way to assess the risk of deep vein thrombosis.The team enlisted 169 volunteers at risk of deep vein thrombosis due to remaining seated during a long flight. The same dose of 200 mg of French maritime pine bark extract was given at the same intervals as in the earlier study. Using standard measurements, edema (swelling) was measured before and after flights, as well as the rate of swelling.Compared to preflight levels, the edema score in placebo subjects was increased by 58.3%. The edema score in the French maritime pine bark extract-supplemented volunteers increased only 17.9%. This dramatic decrease in edema score represented a significantly reduced thrombotic risk.24 Similarly, the ankle swelling rate was increased during the flight by a mean of 91% in controls, while the French maritime pine bark extract recipients showed only a 36% increased ankle swelling rate, a much safer rate.24These studies showed the capacity of French maritime pine bark extract to reduce the risk of deep vein thrombosis without any of the side effects of anticlotting drugs. However, the question remained as to whether this extract was superior to compression stockings, which are known to be safe but not necessarily effective in reducing post-thrombotic syndrome. Post-thrombotic syndrome is a common complication of an otherwise localized deep vein thrombosis, in which blood pools in the affected leg because it cannot return to the heart—causing skin swelling, thinning, and discoloration and sometimes, painful, infection-prone leg ulcers.To settle this issue, scientists conducted a study comparing French maritime pine bark extract to compression stockings in their ability to prevent post-thrombotic syndrome.25 In this study, 156 patients who had experienced a single, major episode of deep vein thrombosis were divided into three groups. For 12 months, one group used the compression stockings, the second group took 50 mg of French maritime pine bark extract three times daily, and the third group used both the stockings and the same daily French maritime pine bark extract regimen.28 The researchers measured edema score, ankle circumference, and volume of the previously deep-vein thrombosis-afflicted leg compared with the other leg. These confirmatory findings indicate that this novel dual-extract formula helps prevent deep vein thrombosis. In the compression stocking-only group, two new deep vein thrombosis cases occurred in the first six months, compared with no new deep vein thrombosis cases in either of the pine bark extract groups. After the first six months, French maritime pine bark extract alone proved significantly more effective than compression stockings alone for relieving symptoms of edema (while the combination of both was better still). Leg volume and ankle circumference measurements showed French maritime pine bark extract-plus-stockings to be superior to stockings alone. In the microcirculation (blood flow in the tiniest vessels), French maritime pine bark extract—but not compression stockings—enhanced blood flow, raised oxygen levels in circulating blood, and decreased carbon dioxide levels, demonstrating improved function. This diagram illustrates normal venous blood flow, venous obstruction by a thrombus formation, and the rupture of the thrombus. A blood clot such as this forming in the leg of an individual with deep vein thrombosis (DVT) can break off without warning and lodge in the lungs or other organs, often resulting in death. Scientists set out to test a formulation combining nattokinase and French maritime pine bark extract in a randomized, placebo-controlled human trial.6 All 204 passengers on a New York-to-London flight were instructed in deep vein thrombosis-prevention techniques: isometric exercises, standing and moving for five to ten minutes, and keeping hydrated. Passengers were randomly assigned to receive either capsules of placebo or capsules of the proprietary blend of nattokinase and French maritime pine bark extract. All subjects took the blend two hours predeparture and again six hours later. Ultrasound scans were done before and after the flight to detect clots.Passengers taking the supplement had zero deep vein thrombosis cases. However, five of the control passengers developed a deep vein thrombosis, and two others developed superficial clots, for a total of sevenevents—a 5.4% DVT rate among controls, compared to a 0.0% rate among the test subjects.6 The scientists also measured leg swelling, which was equal between the two groups preflight. Edema increased by 12% in the controls. But edema decreased by 15% in the supplemented passengers.6These findings confirm that this novel dual-extract formula helps prevent deep vein thrombosis in individuals who spend long periods sitting and reduces the risk of sudden death from a resultant pulmonary embolism. No adverse side effects were reported. 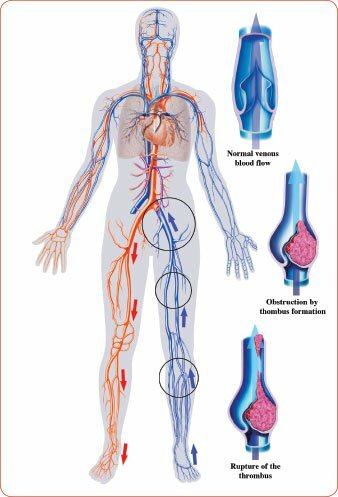 Deep vein thrombosis is a serious risk for anyone who spends long periods sitting and can lead to a deadly pulmonary embolism.The two novel ingredients described in this article were shown to protect against venous thrombosis.These extracts inhibit unwanted venous clot formation, improve leg microcirculation, and promote vessel-wall elasticity.In a placebo-controlled human trial, these two nutrients prevented deep vein thrombosis in all volunteers who supplemented with it and decreased leg swelling.While the medical establishment provides no safe or practical solutions, these two agents are available to augment the effects of taking frequent breaks from any kind of prolonged sitting.If you have any questions on the scientific content of this article, please call a Life Extension® Wellness Specialist at 1-866-864-3027. Available at: http://www.medicinenet.com/deep_vein_thrombosis/article.htm. Accessed September 19, 2016. Available at: http://emedicine.medscape.com/article/1911303-overview. Accessed September 19, 2016. Stamatakis E, Hamer M, Dunstan DW. Screen-based entertainment time, all-cause mortality, and cardiovascular events: population-based study with ongoing mortality and hospital events follow-up. J Am Coll Cardiol. 2011;57(3):292-9. Hsia CH, Shen MC, Lin JS, et al. Nattokinase decreases plasma levels of fibrinogen, factor VII, and factor VIII in human subjects. Nutr Res. 2009;29(3):190-6. Belcaro G, Cesarone MR, Rohdewald P, et al. Prevention of venous thrombosis and thrombophlebitis in long-haul flights with pycnogenol. Clin Appl Thromb Hemost. 2004;10(4):373-7. Cesarone MR, Belcaro G, Nicolaides AN, et al. Prevention of venous thrombosis in long-haul flights with Flite Tabs: the LONFLIT-FLITE randomized, controlled trial. Angiology. 2003;54(5):531-9. Kurosawa Y, Nirengi S, Homma T, et al. A single-dose of oral nattokinase potentiates thrombolysis and anti-coagulation profiles. Sci Rep. 2015;5:11601. Sumi H, Hamada H, Nakanishi K, et al. Enhancement of the fibrinolytic activity in plasma by oral administration of nattokinase. Acta Haematol. 1990;84(3):139-43. Golanski J, Muchova J, Golanski R, et al. Does pycnogenol intensify the efficacy of acetylsalicylic acid in the inhibition of platelet function? In vitro experience. Postepy Hig Med Dosw (Online). 2006;60:316-21. Grimm T, Schafer A, Hogger P. Antioxidant activity and inhibition of matrix metalloproteinases by metabolites of maritime pine bark extract (pycnogenol). Free Radic Biol Med. 2004;36(6):811-22. Available at: http://www.cdc.gov/ncbddd/dvt/data.html. Accessed September 20, 2016. Available at: http://www.huffingtonpost.com/the-active-times/sitting-is-the-new-smokin_b_5890006.html. Accessed September 22, 2016. Hass B, Pooley J, Harrington AE, et al. Treatment of venous thromboembolism – effects of different therapeutic strategies on bleeding and recurrence rates and considerations for future anticoagulant management. Thromb J. 2012;10(1):24. King DA, Pow RE, Dickison DM, et al. Apixaban versus enoxaparin in the prevention of venous thromboembolism following total knee arthroplasty: a single-centre, single-surgeon, retrospective analysis. Intern Med J. 2016;46(9):1030-7. Skervin AL, Thapar A, Franchini AJ, et al. Systematic Review and Meta-Analysis of Utility of Graduated Compression Stockings in Prevention of Post-Thrombotic Syndrome. Eur J Vasc Endovasc Surg. 2016;51(6):838-45. Jin YW, Ye H, Li FY, et al. Compression Stockings for Prevention of Postthrombotic Syndrome: A Systematic Review and Meta-Analysis. Vasc Endovascular Surg. 2016;50(5):328-34. Favaloro EJ, Franchini M, Lippi G. Aging hemostasis: changes to laboratory markers of hemostasis as we age – a narrative review. Semin Thromb Hemost. 2014;40(6):621-33. Maroney SA, Mast AE. 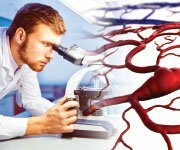 Platelet tissue factor pathway inhibitor modulates intravascular coagulation. Thromb Res. 2012;129 Suppl 2:S21-2. Ero MP, Ng CM, Mihailovski T, et al. A pilot study on the serum pharmacokinetics of nattokinase in humans following a single, oral, daily dose. Altern Ther Health Med. 2013;19(3):16-9. Lampe BJ, English JC. Toxicological assessment of nattokinase derived from Bacillus subtilis var. natto. Food Chem Toxicol. 2016;88:87-99. Grimm T, Chovanova Z, Muchova J, et al. Inhibition of NF-kappaB activation and MMP-9 secretion by plasma of human volunteers after ingestion of maritime pine bark extract (Pycnogenol). J Inflamm (Lond). 2006;3:1. Fujita M, Ohnishi K, Takaoka S, et al. Antihypertensive effects of continuous oral administration of nattokinase and its fragments in spontaneously hypertensive rats. Biol Pharm Bull. 2011;34(11):1696-701. Cesarone MR, Belcaro G, Rohdewald P, et al. Prevention of edema in long flights with Pycnogenol. Clin Appl Thromb Hemost. 2005;11(3):289-94. Errichi BM, Belcaro G, Hosoi M, et al. Prevention of post thrombotic syndrome with Pycnogenol(R) in a twelve month study. Panminerva Med. 2011;53(3 Suppl 1):21-7. Beckman MG, Hooper WC, Critchley SE, et al. Venous thromboembolism: a public health concern. Am J Prev Med. 2010;38(4 Suppl):S495-501. Available at: http://www.webmd.com/dvt/deep-vein-thrombosis-dvt-symptoms-diagnosis. Accessed September 22, 2016. Shirakawa T, Iso H, Yamagishi K, et al. Watching Television and Risk of Mortality From Pulmonary Embolism Among Japanese Men and Women: The JACC Study (Japan Collaborative Cohort). Circulation.